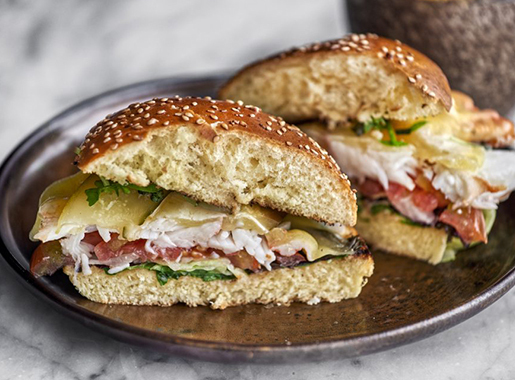 Located a stones throw away from the hustle and bustle of Oxford Street, in Marylebone, Fancy Crab can be found at 92 Wigmore Street. This unique all- day restaurant is London’s newest Russian owned import, one that focuses purely on Red King Crab. 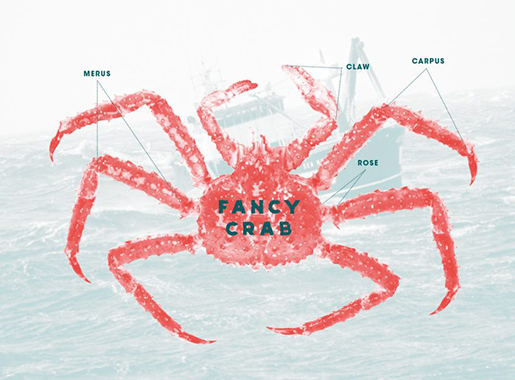 The name Fancy Crab is a play on words, given that the establishment specializes in serving a delicacy of crabs originating from the open waters of the North Pacific. 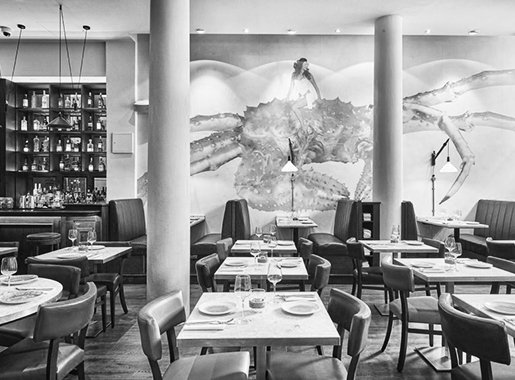 From the decor, it’s clear that the King Crab reigns supreme, displayed proudly in the semi-open kitchen on beds of ice in glass with a dedicated feature wall and crustacean related art littering the walls. The restaurant is split over two floors, with an array of intimate and booth seating there is space for all; whether on a romantic date, business lunch or socialising in a group. We were seated in a corner booth, located by the window which was perfect for getting a wide view of our surroundings and allow us to tactfully indulge in the crab dishes (fancy or not, there is an art to eating crab without getting messy). If crab is not your preference, fear not as there are beef and chicken options also available as well as providing a number of gluten free alternatives. The menu is naturally centered on crab with signature dishes such as Crispy King Crab Claw, King Crab Bisque Soup and the majestic King Crab, which can be served on crushed ice or grilled with a choice of the Merus, Whole leg or Whole leg and shoulder and a range of side dishes. We selected the Singapore Chilli Crab, which is a delightful comibnation of sweet and sour and the King Crab Fettucine which is rich, creamy and includes a generous amount of meat. A great meal was had so we were easily swayed to sample the dessert choices which include individual and sharing options. The King Crab Cheese Cake was a pleasant take on the norm and presented in the shape of a crab leg. There are a range of wines to pair with your meal, as white wine pairs perfectly with crab we selected a nice pairing of La Raia Gavi and also a good selction of cocktails. 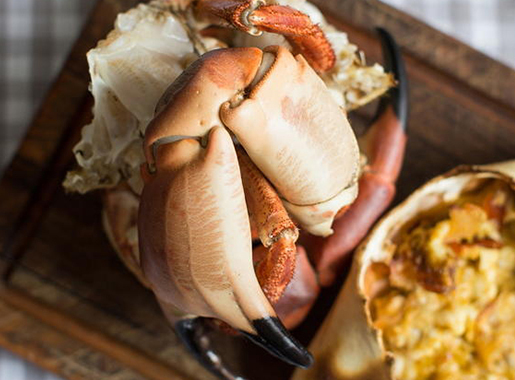 Fancy Crab is open everyday, from midday until 11pm, just moment away from Selfridges. Lunch and Dinner are available daily, with limited outdoor seating avaialble for those warmer days.